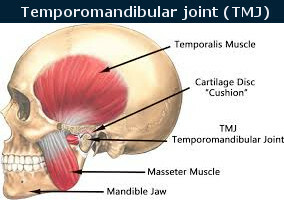 The temporomandibular joint (TMJ) is one of the most active joints in the human body. It connects the lower jaw with the skull, ensuring its mobility. Accordingly, it works while chewing food, talking, yawning. Disturbances in the work of this joint lead to unpleasant symptoms that can significantly worsen the quality of life. 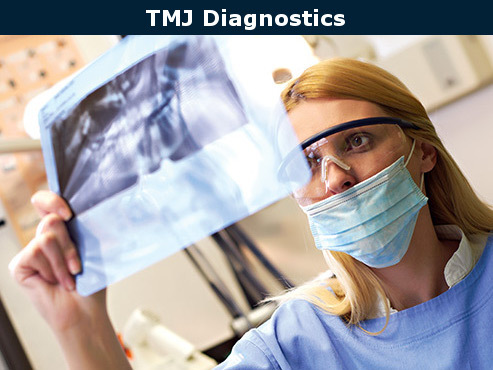 The advanced stage of the TMJ disease is treated only surgically. Therefore, it is important to recognize the problem in time and consult the Burbank dentist. Disorder of the TMJ is a pathological change in the jaw joint and facial muscles involved in all processes associated with the movement of the jaw. 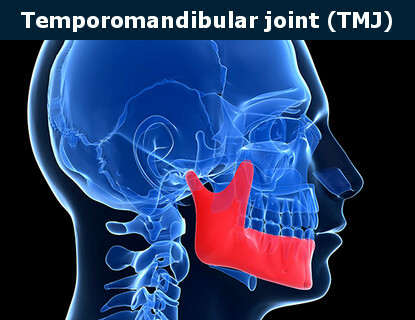 The lower jaw moves due to the joints called the temporomandibular joints or the TMJ. The joint head moves in the deepening of the skull. Between them is a soft tissue interlayer (articular disc). The position of the articular head the corresponding deepening of the skull is largely determined by the occlusion, the position where the muscles hold the jaw. If the system is balanced, the condyles are located in the center of the articular fossa and the disc located between the joint head. The joint fossa freely moves in the joint when opening and closing the mouth. If the chewing muscles adjust to the wrong position of the jaw they can hold the joint head in a displaced position, adversely affecting its function. Often this leads to a dislocation of the articular disc, which prevents its normal movement in the joint until it completely moves to its normal position when the mouth is opened. When this happens, a click occurs. The click intensity can range from a barely tangible vibration to a very loud sound. This sound is often a sign of an abnormal joint function, which in turn can be associated with an incorrect bite. Treatment of disorder of the TMJ is always complex, as this disease belongs to multidisciplinary pathologies. If you are looking for a better treatment for a disorder of the TMJ, contact the Best Dentist in Burbank, Dr. Sahakyan. Experienced dentist Dr. Sahakyan will conduct complex diagnostics, establish the exact cause of the problem and help to quickly restore the correct functioning of the muscles and joints of the jaw. The combination of advanced technologies, deep scientific knowledge and many years of experience allow the dentist to cope with even the most complex and difficult to diagnose cases in the shortest possible time. Please call 1-818-578-2332 for an appointment today. 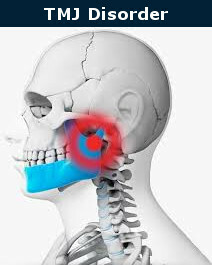 When the TMJ stops functioning normally, it is displayed on all aspects of a person’s daily life. Disorder of the TMJ becomes the root cause of permanent pain and discomfort. If you do not start timely therapy, the condition will only worsen. Therefore, with the first signs of TMJ Disorder, you should immediately go to the Burbank dentist. Physical and neuropsychic stress, causing a violation of the articular kinematics and functions of the maxillofacial musculature. 1. Psychological factor. With severe chronic excessive stress, it happens that a person involuntarily clenches his jaws, there is bruxism (grinding his teeth in a dream). The joint is overloaded and may fail. 2. Dental problems. The absence of a significant number of teeth or an incorrect bite can also cause increased facial muscle tone and improper load distribution. 3. Orthopedic disorders. The curvature of the spine, different lengths of the lower limbs, flat feet, and other similar disorders can also cause hypertonicity, including in jaw muscles. 4. General muscle strain: Heavy physical labor, some sports can cause TMJ disorder. Among the more rare causes of disorders and diseases of the TMJ can be referred to as infectious diseases, jaw and head injuries, incorrect dental treatment. What Will Happen If the Disorder of the TMJ Is Not Treated? If the disorder is not treated, the compensatory capabilities of the body sooner or later can be exhausted, the symptoms will worsen. The pathology will begin to progress, causing greater discomfort, thereby affecting the deterioration of the function of the dental system. Treatment of violations of the TMJ requires a comprehensive approach. The choice depends on the causes of the violations and the severity of the problem. The first symptoms of violations in the joint may seem harmless. Do not neglect the visit to the Burbank dentist and wait for the deterioration. The sooner a diagnosis is made and the correction is started, the more chances that the treatment of the TMJ will not be prolonged and will not cause severe discomfort. Diseases of the TMJ can be cured easier if treated in early stages of the disease. 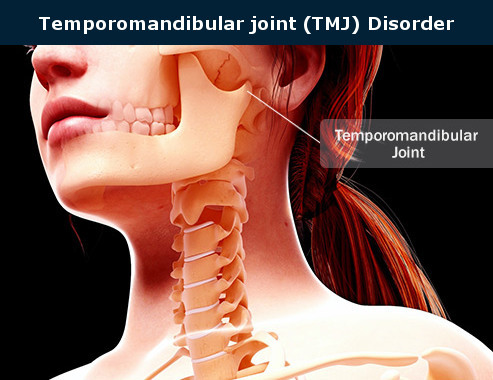 Symptomatic disorder of the temporomandibular joint (TMJ) may resemble the clinical manifestations of many other pathologies. 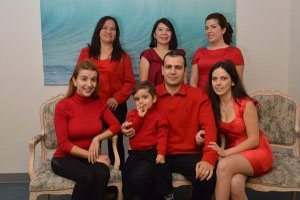 Dr. Sahakyan at My Dentist Burbank carefully examines the history and conducts a comprehensive clinical examination that accurately identifies the cause of the patients’ symptoms. During the diagnosis of the joint in the dental office, a number of measurements and samples are taken. All sensations in the joint area are recorded, the difference in sensations in the right and left joint. The dentist Burbank also performs the imaging of the jaws. Then he takes images of the face and intraoral photographs, as well as a 3D computerized tomography of the face (3D CT). Magnetic resonance imaging (MRI) makes it possible to obtain high-quality images of the joint disc, ligaments, muscles, bone elements in one image. It significantly improves the diagnosis of temporomandibular joint (TMJ) disorders. Often, the dentist performs a visual assessment: posture, the symmetry of the shoulder girdle, shoulder blades, hip bone structures, the necessary tests, images. Based on the results of the survey, the dentist decides on the choice of the method of TMJ treatment, which will help to cope with the problem as effectively as possible. In some cases, a disorder of the TMJ may require the intervention of maxillofacial surgery. 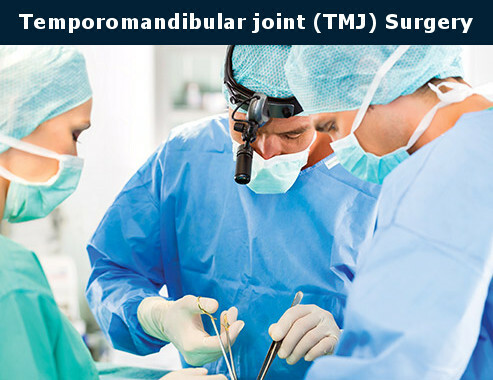 Methods of treatment of temporomandibular joint (TMJ) disorder Burbank vary from simple recommendations for caring for the affected joint and the appointment of conservative therapy before surgery. The treatment plan is made individually in each clinical case and depends on the severity of the symptoms and the progression of the disease. But in all cases, therapy begins with the sanction of the oral cavity (the treatment of periodontal, teeth, oral mucosa, correction of prostheses). 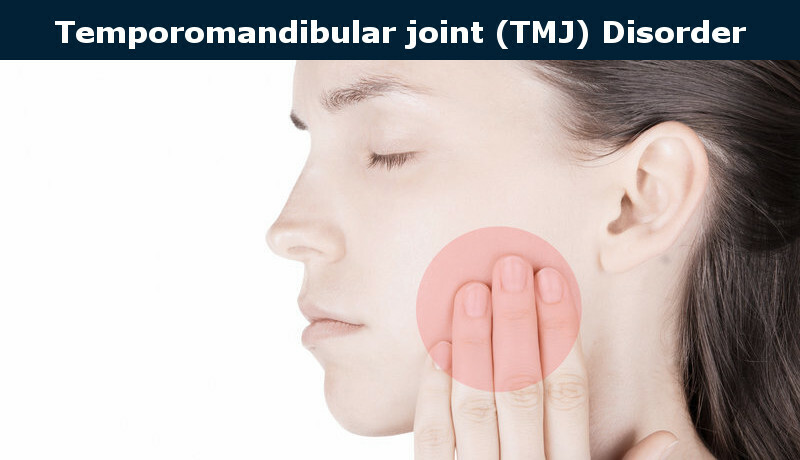 During the entire period of the main treatment of the TMJ disorder, patients have prescribed a gentle diet and need to limit the verbal load – to reduce the burden on the temporomandibular joint (TMJ). wearing special orthopedic tires or cap, as well as other methods aimed at restoring the correct closing of teeth. 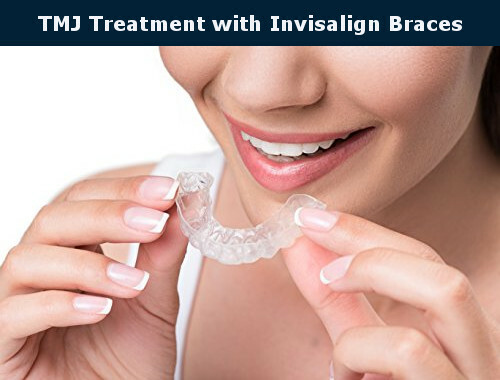 For the treatment of a disorder of the temporomandibular joint (TMJ), various orthodontic and orthopedic structures are widely used, such as an articulated modeled tire or mouthguards. This design relieves the temporomandibular joint (TMJ), eliminates the pain syndrome. It creates the conditions for the articular head to occupy the correct position. Such mouthguards are designed for day wearing, they almost do not cause discomfort. Mouthguards allow a person to communicate freely, without experiencing pain and muscle tension. 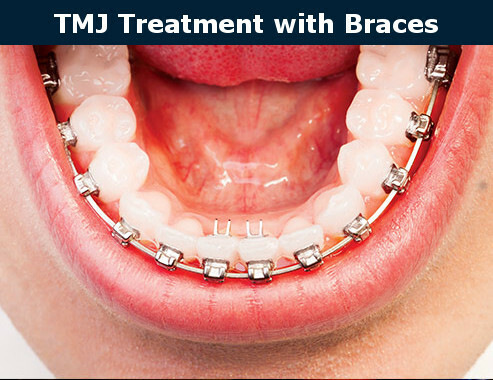 Braces are one of the methods of TMJ treatments. They can improve the alignment and function of the jaw. Braces gently control the position of teeth and correct the misaligned bites. If the effect of conservative methods of treatment of temporomandibular joint (TMJ) disorder is absent, surgical intervention is required. Treatment of disorder of the TMJ is mandatory and necessary. This problem cannot be neglected since the further development of the disease is fraught with the occurrence of severe complications. Complex approach and the combination of methods of treatment guarantee a positive result. An integrated approach allows Dr. Sahakyan to heal even the most complicated cases of TMJ disorder in a short time while achieving the best result. If you are concerned about the muscular articular disorder of the TMJ, treatment is best done at My Dentist Burbank. Please call 1-818-578-2332 for an appointment today.